The Mantis Quan is a pictograph boxing and was created by master Wang Lang through observation of the fighting skills of cutting, chopping and twisting when the mantis was catching the cicadas. 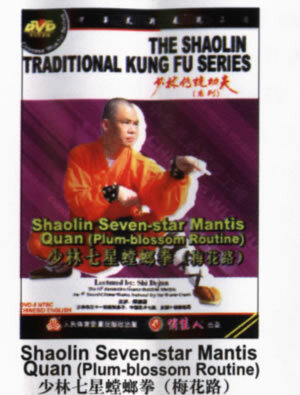 He then stayed at Shaolin Temple for three years and instructed the monks about this mantis boxing. This routine consists of both the firmness and softness, the uses of short and long, hands and feet, compact and clear, the whole force is round, the whole body coordinates and unstop changes.